Reserve precious, accessible medicine cabinet space for essential items only. Really give thought to what you store here. Try to reserve that precious, accessible medicine cabinet space for items you use most frequently, not the Pepto-Bismol you only take on New Year's Day. Otherwise, you're wasting your most convenient storage space. You'll be surprised at the number of items you can store elsewhere. 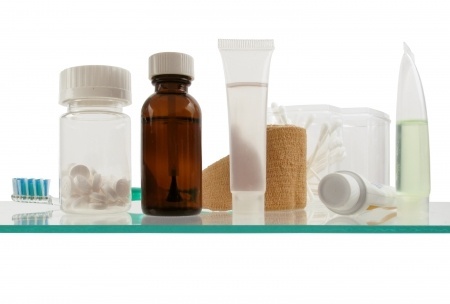 Judiciously review every item you keep inside your medicine cabinet, both as a spacing measure and for home safety as you clean your medicine cabinet. As you're looking at each item in your medicine cabinet, check the labels carefully. Many of us treat medications much too casually. Some medicine labels specify storage in a cool, dark place, not the bathroom, due to its inherent humidity. Light, heat, or humidity may damage many medications.Humid bathrooms are not the ticket for these. Consider placing these medicines in a secure drawer the kids can't reach in your bedroom closet, or on a high shelf in a hall closet. Next, look carefully at expiration dates on everything. Toss what's expired or no longer used. Expired medicines and vitamins lose their potency. (Ditto for sunscreens, by the way.) Discard medications where children cannot find them. Do not toss them casually into the bathroom wastebasket. 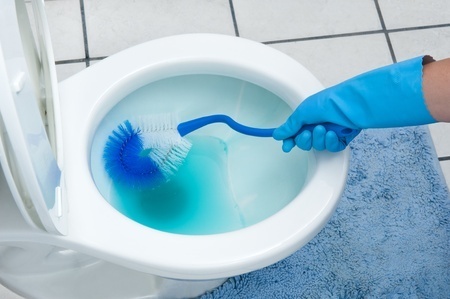 Flush them down the toilet or put them at the bottom of the trash can when you take it outside on garbage pickup day. Store medications in their original containers. Don't repackage medicine as you would food. It's important that you have the medication's original label so you can check dosages, expiration dates,and other safety information.